In this age when theme takes the dominating part of durga idol and rituals, I have a chance to focus on the rituals, culture, of the real root of Bengal. 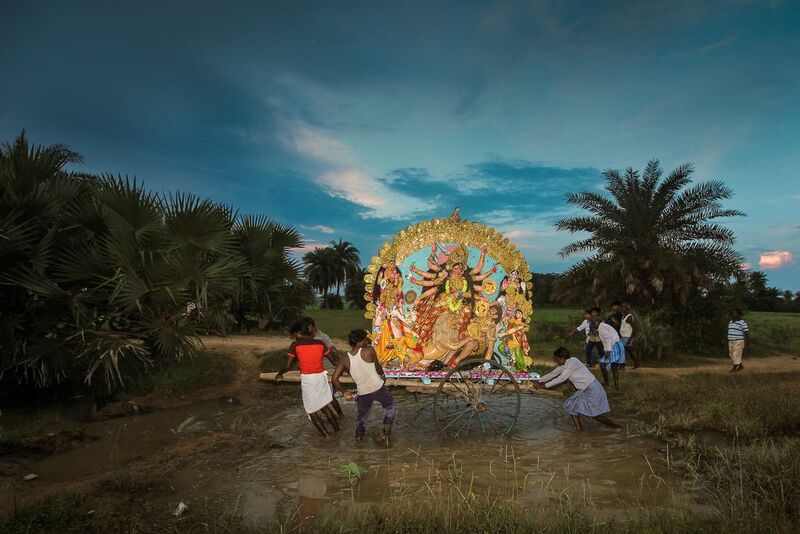 This frame is about the immersion event of a village at Purulia . The ambiance of the place was not rather slapped by the high Decibels of sound box and rather filled with the sound of Dhaaks. Date Uploaded: Nov. 15, 2017, 7:20 a.m.